Looking for something SPECIAL? You found it! This home has everything you wished for and so much more! This PICTURE PERFECT home features an OPEN CONTEMPORARY floorplan! The GOURMET kitchen on the main level has TOP OF THE LINE stainless appliances, a large island and snow white quartz counters! The entire level 2 is dedicated to a WONDERFUL master suite with walk in closet! The LUXURIOUS master bath features a ROMANTIC free standing tub and separate shower! The next level has 2 additional BRIGHT and SPACIOUS bedrooms! The top floor is TRULY REMARKABLE! Could be an office or, with its private roof top balcony, a special place to RELAX and DREAM! The lower level family or exercise room has direct access to the secure covered garage with 2 assigned spaces! 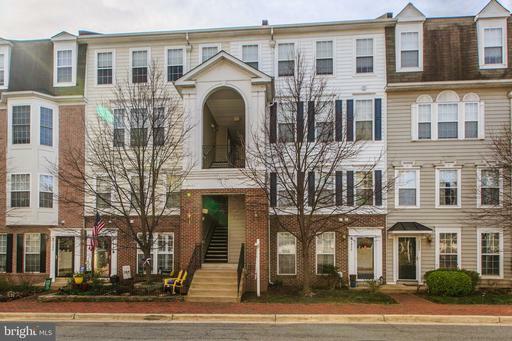 RESORT LIVING in Old Town and a few minutes to DC! This is a condo townhome which ensures a CARE FREE lifestyle! Fee includes all exterior maintenance, water, sewer, lawn service, master insurance policy, snow and trash removal and a reserve fund for all future concerns! You no longer have to worry or get bogged down with tedious tasks. Its time to enjoy life and all our FABULOUS area has to offer! 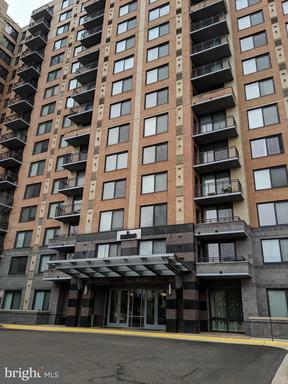 **Exceptional opportunity at the Carlyle Towers** Exclusive 3BR,3FB 2HB, this is two units combined 1810-1811 featuring 2565 SF including 2 glass enclosed balconies 2 Foyers w 9~ ceilings throughout. Gorgeous views of the Masonic Temple, Downtown DC Washington Monument. Freshly painted neutral!! Massive LR DR w Open layout, Separate formal DR. 2nd LR and office. Very spacious w tons of storage. W/D in condo 2 large garage spcs 2-81 /2-82 + 2 Storage bins24-25. Secure building w amenities galore!. Original owner is selling AS IS. Great Value for the location, condition price! 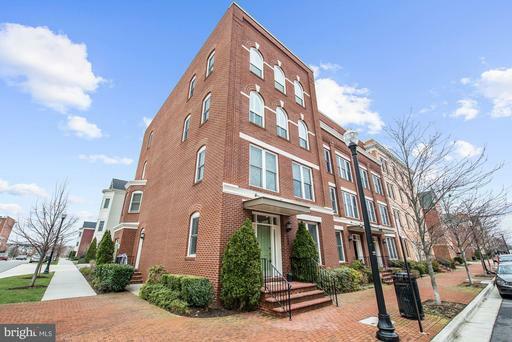 Easy access to Metro, Theaters, Restaurants Shops in Old Town Alexandria. Freshly Painted New Carpeting. Spacious Condo in Elegant Porto Vecchio. Potomac River National Harbor Views. 2300+ Square Feet on One Level. 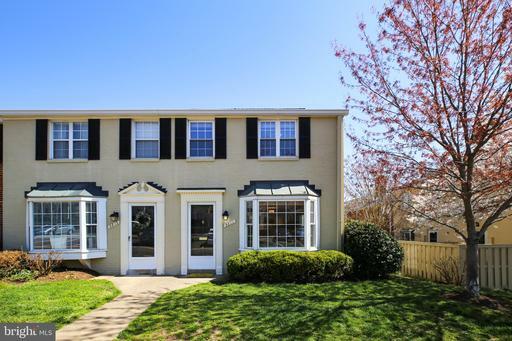 True 4 Bedrooms, 3.5 Baths with Tons of Closet Space.Sunroom with Water Garden Views. 2-Car GarageParking one owned, one rented space + Extra Storage. Great Building Amenities: 24 hour desk; limo service; party dock; swimming pool; tennis court and on-site management. Convenient location. Come See. DOWNSIZE WITHOUT SACRIFICING! Single family feel, with condo perks! One-level, no steps, plus private entrance. This spacious 2545 SF home offers 4 bedrooms, 3 baths, both a living room and a family room, a dining room, a huge laundry/utility room, and lots of outdoor spaces ... a year-round enclosed balcony in the treetops, a brick patio, and a huge 2982 SF open patio! Plenty of room for entertaining, relaxing or gardening in the sun. You can access a gate to the parking lot for walking the dog -- no need for the elevator! Condo includes 2 storage spaces and a garage space. The building is right next to the community center, where you can the enjoy the many amenities: indoor pool, full-service restaurant, convenience store, salon, bowling, billiard and ping pong, lounge for entertainment, etc. A gated community, Montebello has 37 wooded acres, 24/7 security, a free shuttle to Metro and shops, and is very pet-friendly. You will enjoy a variety of events, clubs and activities, too! 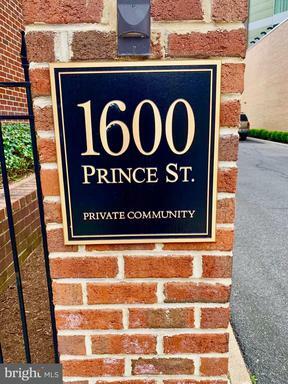 Rarely available and one of the largest units in the 1600 Prince Street Condo;1635 sq ft of sun drenched ambience, gleaming hardwood floors, upgraded kitchen and baths; white cabinetry w/new SS appliances; granite counters; huge closets; tons of extra storage; custom built-ins galore; 2 large bedrooms/2 full baths with a den/study; private secure building with 1 garage space and extra storage; steps to Whole Foods, Table Talk, Laportas, CVS and the King Street Metro. This unit is Awesome! 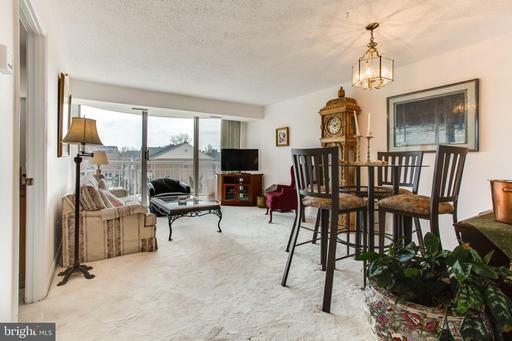 The living is easy in this impressive sunny end unit condo. Found in the sought after Carlyle community of Old Town, 2121 Jamieson Avenue #503E is a generously proportioned residence with scenic views and is the very definition of convenience. And who doesn~t love convenient! The floor plan encompasses 1,605 finished square feet of bright and open living spaces ideal for any lifestyle. A foyer entrance greets you and your guests and ushers you down a hall to the living and dining room area. 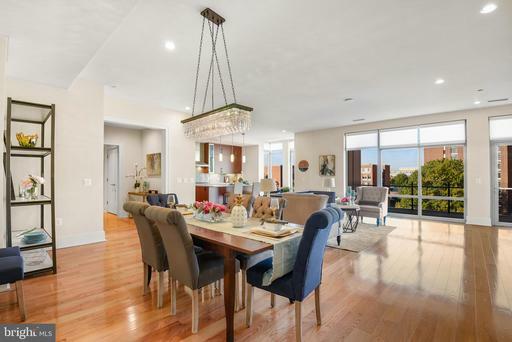 This space is comfortable for entertaining and opens to an enclosed balcony/sunroom getaway where you will see yourself taking in the future sunrises and sunsets overlooking views of the Masonic Temple and more. An immaculate eat-in kitchen with new floors provides all modern day necessities, granite countertops plus ample cabinet storage. Gleaming hardwood floors compliment most of the main living spaces and two of the three bedrooms. One of the bedrooms has plush carpet for added luxury. The two full bathrooms in this condo were both recently updated. One of these bathrooms is a shared hallway bath and the other is a private master bath that features a double vanity, whirlpool soaking tub and walk-in shower. Master bedroom also has three closets - AMAZING!!! The half bath is near the entrance of the home. With its warm sense of community, and only moments to shops, eateries and transport this home provides all the elements of relaxing, accessibility and comfort. The building offers fantastic amenities that are included in the condo fee; two state of the art exercise facilities, a hot tub and Jacuzzi pool, two saunas, tennis courts, two outdoor pools, a shuffleboard court and putting green, car washing station and grilling areas. For extra peace of mind, there is 24 hour security and concierge service and underground assigned parking. This unit comes with one assigned spot 4-18 and a storage unit. Storage is found on the first floor and this particular unit can be accessed from the exterior of the building. Don~t have a car? No problem! 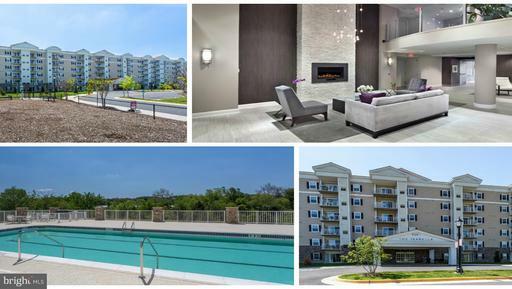 Commutes and everyday adventures are simplified with all the options Carlyle Towers provides its residents. Enjoy morning and evening shuttle service to Metro and being only 4 blocks from the Amtrak and VRE stations. You even get discounts on Capital Bikeshare memberships if biking is a preferred mode of transportation. Additional benefits to living here is the access to all historic Old Town offers such as award winning dining, charming boutique shopping and unique community events. This home has it all! Fantastic Location and Condition! Close to Amazon HQ2! Building retail contains: Starbucks, Dominos, UFC gym, dry cleaners, salon, doctors office, dentist office, and more. Very Spacious unit with open floor plan! 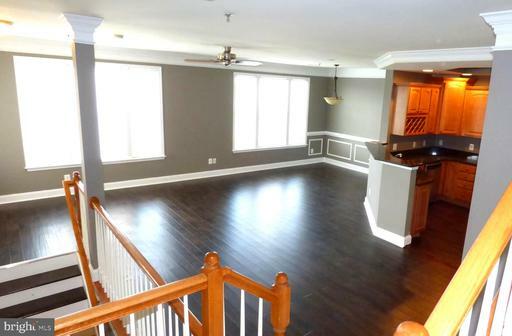 Beautiful hardwood floors throughout this tastefully decorated 2 Bedroom 2 Bath with a DEN! Granite counters in a large gourmet kitchen with Stainless Steel appliances. Gorgeous bathrooms with Granite vanities.. Den located across second bedroom. Price INCLUDES 2 GARAGE PARKING SPACES 2 STORAGE UNITS UNDER BUILDING. Walk to Braddock Metro. CONDO FEE INCLUDES HIGH SPEED INTERNET AND CABLE SHOWTIME HBO INCLUDED Close proximity to King Street shops restaurants, Minutes to GW Parkway and Airport, TONS OF AMENITIES that include a rooftop terrace, state of the art fitness center, party room with pool table and flat screens perfect for entertaining, business center, secure building, concierge service and much more! Enjoy stunning waterfront views every day from this rarely available 3 bedroom, 2 bath unit with 1472 square feet and 1 garage space. The third bedroom has been converted to a family room with custom built-in entertainment center and Silestone counters. You will enjoy beautiful water views from the balcony accessed from both living and family rooms. Thoughtfully updated throughout, this spacious, airy condo boasts a beautiful kitchen with white cabinetry including glass-fronted display cabinets, new wood flooring, new carpet in bedrooms and custom built-in shelving and cabinetry throughout to enhance storage and display space. Home office formerly a walk-in closet, easily converted if desired with washer/dryer hookup in closet, features a custom storage cabinet with granite top, recessed lighting, and a pocket door which maximizes space. 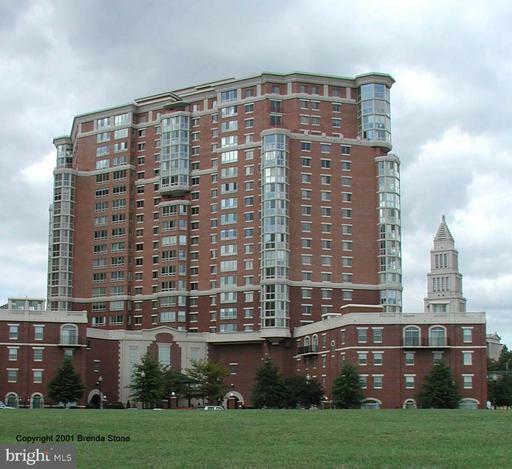 Marina Towers is a riverfront condominium community on the banks of the Potomac in North Old Town. Waterfront pool, grill area, new fitness center, 24/7 front desk, onsite convenience store dry cleaners, waterfront party room, ample parking with onsite management maintenance. Amenities include a picnic area, a cedar-roofed gazebo tiki bar and residents~ private access to the Mount Vernon Trail, right out the back gate. 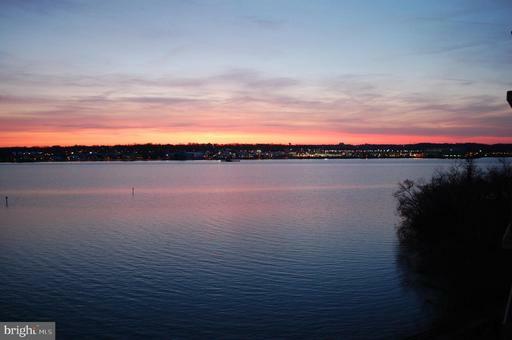 The 18-mile walking, running and cycling trail follows the Potomac shoreline and also connects to the 45-mile WOD Trail. 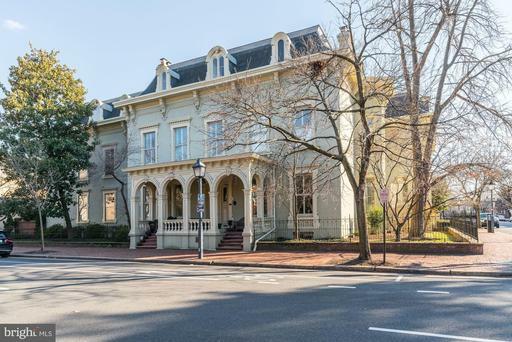 Gracious and elegant Victorian home in the beautifully restored and historic Swann-Daingerfield building in the heart of Old Town, Alexandria. This exclusive and beautifully restored building contains just 12 units, each with its own private entrance. At just a block to Washington Street and King Street, this is the best building and location in all of Old Town! 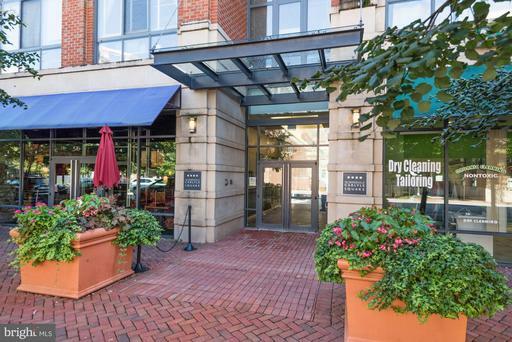 It is just a short stroll to the restaurants, unique shops, and farmers market on King Street, as well as the Potomac River, which is just 7 blocks away. 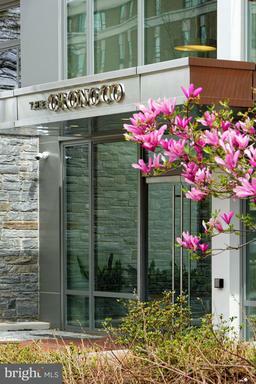 It is a comfortable 14-minute walk to the King Street metro station and a seven minute drive to Washington, DC. Once inside, this two bedroom, one and one/half bath condo features soaring 11~ 6~ high ceilings, gleaming hardwood floors, a wood burning fireplace, an elevator, a bright and spacious eat-in kitchen with Corian counters, and separate dining space which leads to the private balcony overlooking tranquil gardens courtyard. Other amenities include convenient assigned parking #10 and an extra-large secure storage unit in the basement next door. Additionally, pets are allowed!706 Prince Street - The History of Swann-Daingerfield HouseThe Swann~Daingerfield House was built in 1802 by Thomas Swann, a prominent area attorney. In 1832 the property was sold to Henry Daingerfield, a successful importer and shipper. In 1899 the property was the sold to Saint Mary~s Academy for $10,500, and served as a boarding school for over a century. In the 1940s it was sold to the Alexandria Hospital for $100,000 and was used as student housing for the hospitals School of Nursing. It was then converted into condominiums in the 1970s and has been a private residence for nearly 50 years. Open House 3/17/19 from 1:00 to 4:00. 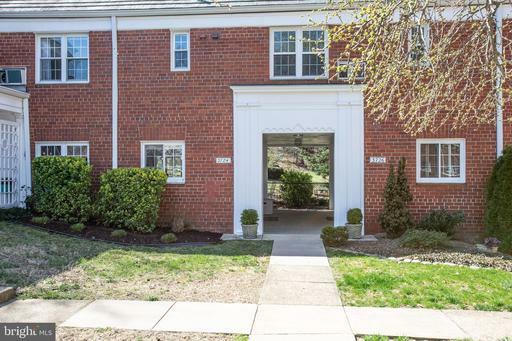 Rarely available Abingdon Row condo with spacious private patio. Light-filled open floor plan with 1 bedroom plus den that can be used as a SECOND bedroom. TWO full baths, hardwood floors, plush carpet in master bedroom, new washer and dryer, newer GE Profile refrigerator, gas stove, granite countertops in kitchen and baths, custom closets, parking space in underground secure garage and storage unit. Beautiful, over 350 SQFT, private patio off living area is perfect for outdoor entertainment. This unit has first floor entrance but patio is above ground level. 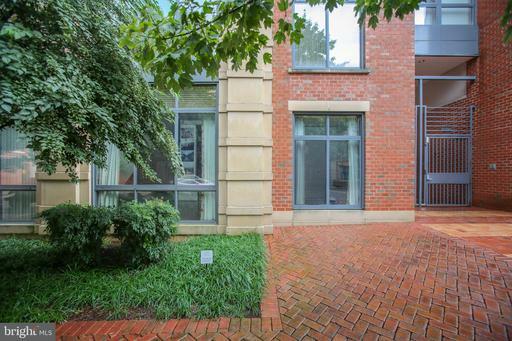 A couple of blocks to the Potomac River with views of the river from patio and rooftop terrace. Short walk to King street, beautiful tree-lined Mt. Vernon Bike Trail, Trader Joes, Harris Teeter, shops, restaurants, and near Braddock Metro. Only five miles south of DC makes for an ease commute! Luxury TURN KEY WATER VIEW CONDO with broad, sweeping vistas from every room that include Cameron Run, Hunting Creek, City and Golf Course. Sophisticated, airy European Contemporary styling features gleaming marble tile flooring and marble Baths. Light infused sliding glass doors in Living Dining Rooms and both Bedrooms open onto large Semi-Circular, Water View Balcony. *** 2 Adjacent Garage Spaces #196 197 Storage Unit. *** Freshly painted, all neutral sparkling! *** Mid-2016 high end Kitchen boasts a Breakfast Bar, gleaming Arctic White Quartz countertops, double wall ovens one microwave, Viking 5-burner cooktop, Bosch dishwasher, side-by-side Refrigerator with bottom freezer, fine German cabinetry and Island Hood with 600 cfm power vents adjustable lighting. *** Large Water View Owners Suite has dual entry semi-circular walk-in closet, gorgeous custom wood built-ins, En Suite Bath with whirlpool tub separate shower. *** Washer/dryer in unit. *** Meticulously maintained, 24-hour secure, 8-story Porto Vecchio features a River View Pool, Kayak Pier, lovely sculpted Gardens, gorgeous Party Room and Veranda with spectacular Potomac River views, Lighted Tennis Ct, Fitness Room, Picnic/Grilling Area, Sauna, and Free Limo Service for residents. Condo fee includes Limo transportation, water, gas heating of water, maintenance of 2 Garage spaces, common area electric, and common area insurance and maintenance. *** Front door access to 18-mile paved Mt Vernon Trail provides ample opportunity for hiking, jogging, biking, or for simply enjoying nature. 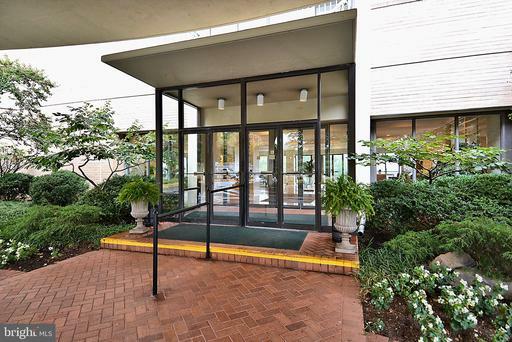 *** Located on the George Washington Pkwy in Southeast Old Town, the building is super convenient to D.C, via S. Washington St to Rt. 495, Crystal City 4.7 mi, National Airport 5 miles, Eisenhower Metro 2.2 mi, Pentagon 7 mi, Mount Vernon, Belle Haven Country Club Marina, sailing school and golf 1.8 mi, and only a few blocks to all the charm that Old Town Alexandria offers, with more than 200 unique boutiques and restaurants, historic museums, art galleries, festivals, Torpedo Factory Art Center and famed Farmers Market. *** Everything you could want or need is within a mile of your front door! *** Dreaming of tranquility plus lively engagement, both within minutes? Your search stops here. Dont miss this one. **** Move Right In! **** Existing furniture is available on separate bill of sale. 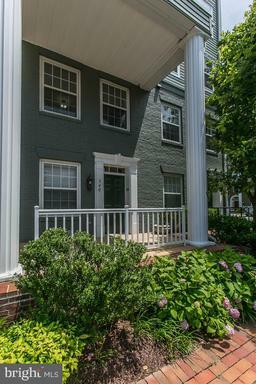 Practically new END UNIT condo/townhouse close to DC, Pentagon, Crystal City, Old Town Alexandria. Just built in 2017 this spacious home features an open floor plan perfect for entertaining or relaxing. Some key features include SS appliances, 9 foot ceilingscrown molding, granite counters, fresh modern neutral paint, hardwood floors on main level, stairs and 2 level landing, walk in closets, attached garage and driveway parking space. Walking distance to shops, restaurants and more. Dont miss this one!! Absolutely Gorgeous Condo! This remodeled home is the perfect retreat from city life. Numerous upgrades incl: wood floors, granite counters, upgraded appliances incl W/D, stunning marble bath, professional closets, etc. Open floor plan kitchen light bright,and welcomes you home. Enjoy gorgeous sunsets, pool, 2 gyms, tennis, 24-hr security walk to 2 Metros, shopping, restaurants, etc. Priced below assessed value. Sold As-Is. Put in your own updates for instant equity as the last updated unit sold for $582,500. Light bright condo blocks to the King Street metro. This home features TWO master suites separated by the living room for privacy: perfect for roommates, a home office or guest room. Other features include the separate dining room, kitchen with pass through to living room, great enclosed balcony not incl in 1160 sqft, newer refrigerator and dishwasher. Home faces the quiet side of Carlyle, away from the train tracks. Walk to 2 metros King St and Eisenhower, Whole Foods, shops, restaurants, movies etc. 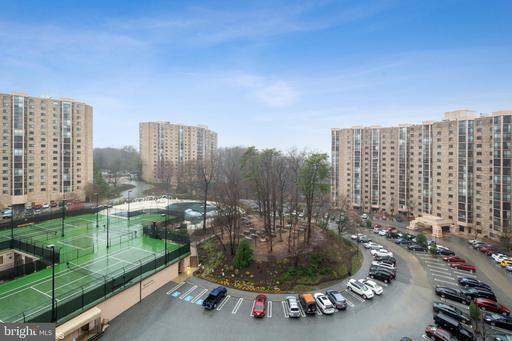 Enjoy the many amenities offered at Carlyle Towers including the outdoor pool, tennis courts, 2 gyms, putting green 24-hr security. 1 garage storage space convey with the condo. Only pay electric, phone, cable/internet. Water, sewer, gas for hot water, maser insurance policy and much more are included in the monthly condo fee. Carlyle has a one pet, per unit rule with no size restriction. Open house Sunday, April 14 from 1-4. Offers, if any, due Monday, April 15 by 9 pm. Closing Date must be on or after June 3, 2019. Front desk may require you to stop by 2151 Jamieson to register before buzzing you through the lobby of 2121 Jamieson. Quick close possible. Ballenger Breezeway entrance. 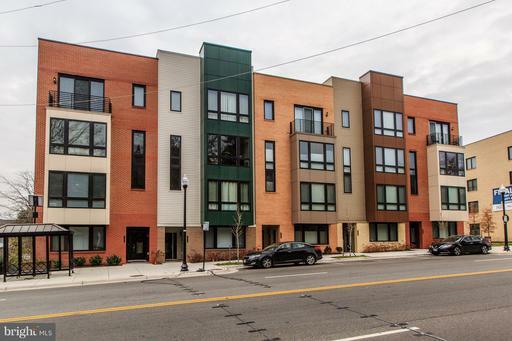 Luxury Industrial 2 story condo is your new place to call home! Easy access through Ballenger Ave Entry via breezeway which connects to the European style courtyard with gracious tree canopies, lush plantings, umbrella topped tables for al fresco dining, and situated around a tranquil fountain. This open plan condo is drenched in light from a 20 ft wall of windows. 1 bed suite upstairs contains a loft for an office, walk in closet, laundry room, and spacious bathroom. Downstairs the gourmet kitchen has stainless steel appliances, a sweeping breakfast bar, pantry storage, and plenty of cabinets. The 20ft tall great room connects upstairs via a stunning metal staircase. Entry area contains an oversized door, spacious foyer, large closet and massive guest powder room. A huge storage cage and an oversized parking premium spot are just downstairs. Half mile stroll to both King St metro and Eisenhower metro. Quick commute to new Amazon HQ2! Whole Foods, shops, restaurants, bars historic charm of Old Town - dont miss this unique opportunity! 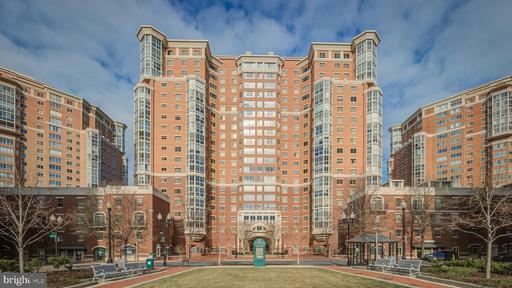 Updated, light and airy 2 bed/2 bath in convenient Marina Towers. Kitchen has large island, lots of storage Sep. Dining Room. Walk in closet in master. 2 baths have been remodeled. Bamboo floors. 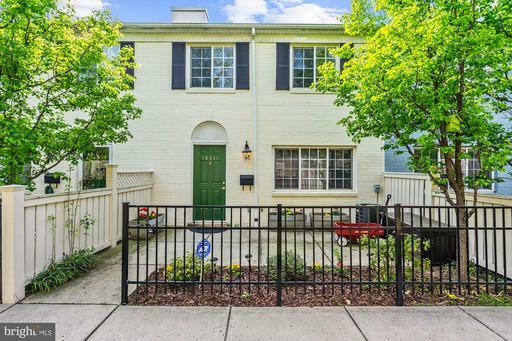 Move in ready with views of the walking/bike bath and Washington Monument. One light to DC. Walk to everying! Stores, restaurants, shopping.Utilities included in CONDO FEE. 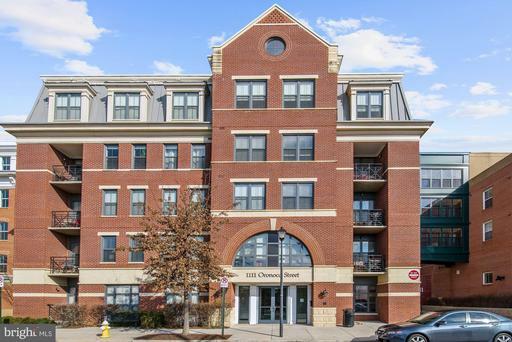 Gorgeous bright 2BR+den or, 3rdBR/2.5BAs w/ balcony 2 garage parking spaces tandem in fantastic Cameron Station w/ tons of amenities incredible location. Gourmet kitchen w/ gas range, stainless steel appliances, breakfast bar on the island. Open floorplan with hardwood floors throughout main living areas, carpeting in the bedrooms. 2 Master BRs w/ en-suite BAs walk-in closets w/ ELFA organizational storage systems - great natural light throughout; 3rd BR or, Den/Office/Nursery creates so much extra space for your lifestyle needs. 1/2 bath is so convenient for guests entertaining. One of the MBAs has both a tub shower dual vanities. Lots of closets cabinets for storage. Washer/Dryer in unit. Outdoor balcony off the living room for entertaining relaxing w/ plenty of room for seating, table, etc. 2 garage parking spaces convey with the condo tandem spaces. Quiet pet friendly building free dog waste bags available throughout Cameron Station to make your dog walks easy, 2 free bike racks in garage, free shuttle to Van Dorn metro, community condo building has lots of open green spaces for relaxing enjoyment, outdoor pool, gym/fitness center, indoor basketball court so much more...Plenty of free parking spaces for visitors available in the area. Walk-friendly upscale urban living where you can walk downstairs to: dry cleaner, coffee, restaurants, salon/spa, convenience market, daycare facility, etc. 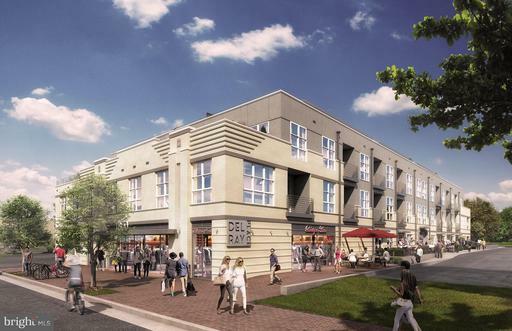 A few blocks away: Restaurants, shopping, Harris Teeter, Aldi, 24 hour CVS,Public library coming soon...the new Landmark Mall. One block to the fabulous Ben Brenman Park w/ pond, picnic area, 2 baseball fields, soccer fields, 2 playgrounds, fenced dog park, and Sunday farmers market seasonal. Check out: CameronStation.org for more community information. Beautiful open floor plan - 2 level townhouse condo in amazing Cameron Station! 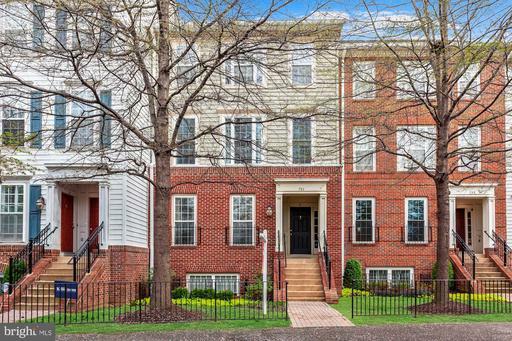 Shuttle to Van Dorn,metro, easy access to 395, and Old Town Alexandria. The 3 bedrooms allow for guests, office, growing family! On the main level, the bonus room can be used as you choose - formal dining room, office,...? Large eat in kitchen, family room, deck, extra storage beyond the utility room... all make this a wonderful home. Dont miss the workout facility, classes, and pool at the community center right up the street!Home warranty included. 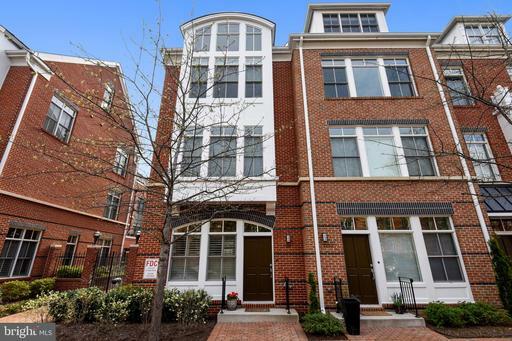 Listing Broker: Sherman Properties, Inc.
Do not miss this rarely-available and extremely spacious 2 bedroom, 2 bath condo in the heart of Old Town Alexandria is just minutes from National Landing and Amazon HQ2! The stately Boulevard formerly Bearings South Condominium is surrounded by convenience, dining, entertainment, and public transportation. Recent updates include remodeled bathrooms and an updated kitchen with stainless steel appliances, a new tile back splash, and and fine counter tops. Two convenient and dedicated parking spaces are included. Enjoy all that Old Town has to offer! CHARMING! 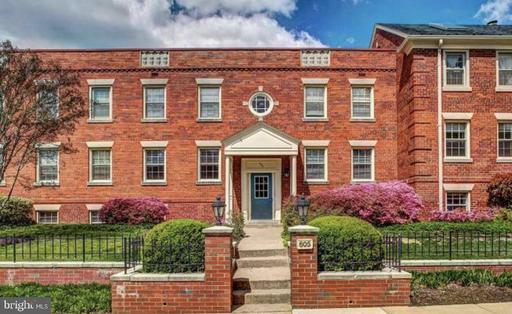 This 3 BR, 2.5 bath brick TH style condo features beautiful Hardwood floors, crown molding, spacious living room with built-in shelves, eat in kitchen with new granite counters and stainless steel appliances, plus updated baths. Master bedrm w/WI closet, full bath! Lovely fenced patio! Great amenities, pet friendly neighborhood, fantastic common area. Fee includes water, sewer, pool playground! Easy access to 395, 495, DC, Metro Pentagon! Listing Broker: United Brokers VA Ltd. This spacious 3 bedroom, 2.5 bath condo has been completely updated with modern features. The kitchen has been remodeled with Samsung and Bosch stainless steel appliances, Kohler faucet, and granite countertops. Hardwood flooring on the main level and a full-size washer/dryer in unit. Upstairs features a master suite with an ensuite bathroom and 2 spacious bedrooms. 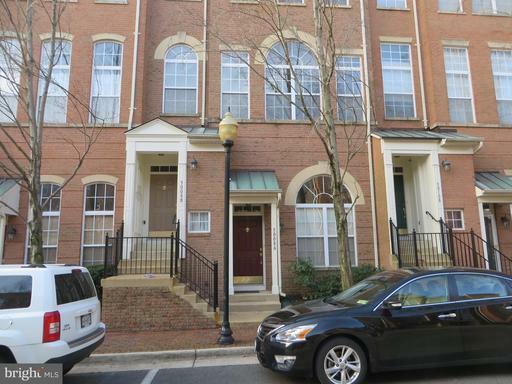 Close to grocery stores, restaurants/shopping, and bike trails that lead to Old Town Alexandria Washington DC. Other highlights include a Morning bus service to Pentagon/Crystal City, large pool on site, and up to 2 parking permits. 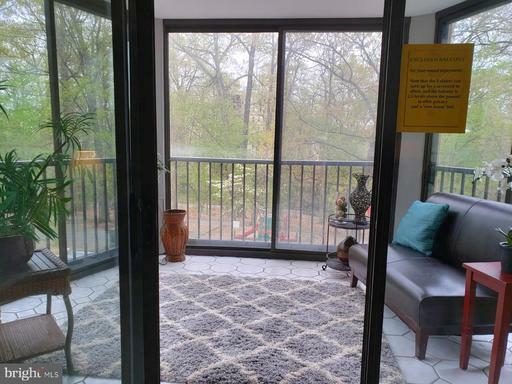 Spacious 2 bed/2 bath Condo with balcony. Quiet unit facing east side no metro rail or station view and noise. gorgeous hardwood floors; kitchen with granite countertops and stainless appliances; 5 STAR LUXURY BUILDING has rooftop pool,Tiki Bar,fitness centersocial center. 1 car garage space. Guest suites. 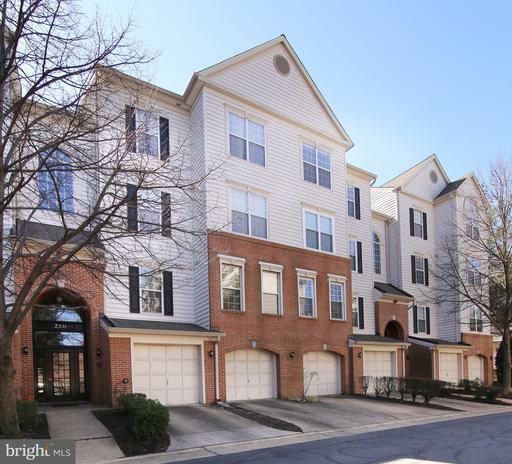 Next to METRO, Convenient to 495, DC, Pentagon, Ft. Belvoir. 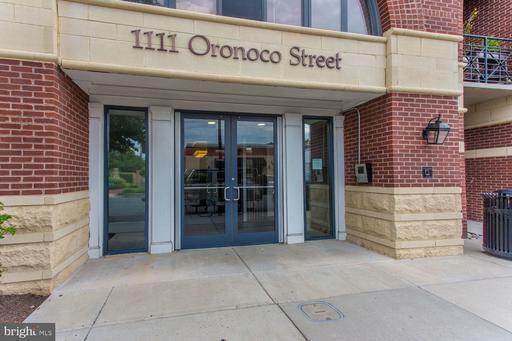 NEW VALUE-ALSO, PLEASE NOTE THAT THIS CONDO OFFERS 2 GARAGE PARKING SPOTS THAT ARE SIDE BY SIDE AND EXTRA STORAGE WHICH IS WORTH $20K-MOST UNITS ONLY HAVE ONE GARAGE AND ONE SURFACE PARKING SPOTS. 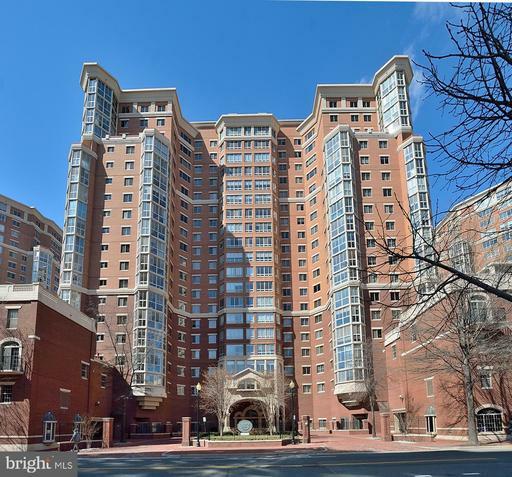 THIS WELL APPOINTED CONDO ALSO HAS TWO BEDROOMS, TWO BATHROOMS AND IS 1283 SQ FT OF HIGH END FINISHES- MINUTES TO 395-495-PENTAGON-CRYSTALCITY-DC. THE GOURMET KITCHEN SHOWCASES 42~ CUSTOM MAPLE CABINETS WITH BRUSHED NICKLE HARDWARE, UNDER CABINET LIGHTING, ENERGY STAR RATED SS APPLIANCES, GRANITE COUNTERS, KOHLER BRUSHED NICKLE PULL-DOWN FAUCET WITH INTEGRATED SPRAYER, DESIGNER PENDANT LIGHTING, AND OVER RANGE MICROWAVE WITH TASK LIGHTING. NOTICE THE 9~ CEILINGS AND WIDE-PLANK FLOORING THROUGHOUT, 2-PANEL SOLID CORE INTERIOR DOORS AND CROWN MOLDING WHICH COMPLIMENTS THE LIVING ROOM, DINING ROOM AND KITCHEN. AN EXPANSIVE BALCONY PROVIDES ADDITIONAL LIGHT AND FABULOUS VIEWS FROM THE LIVING ROOM. TRAY CEILINGS PROVIDE AN ADDED ELEGANCE TO BOTH BEDROOMS. THE BATHROOMS HAVE 12~ X 12~ ITALIAN-INSPIRED STONE TILE AND SHOWER SURROUND, SEPARATE SOAKING TUBS, AND GRANITE VANITIES W/UNDER MOUNT SINKs. FULL SIZED , HIGH EFFICIENCY FRONT LOAD WASHER/DRYER AND TANKLESS HOT WATER HEATER ARE ANOTHER BENEFIT OF THIS GREAT CONDO. OTHER AMENITIES INCLUDE 25-METER LAP POOL, PRIVATE BARK PARK, ON-SITE METRO SHUTTLE, OUTDOOR FITNESS COURT, COMMUNITY FITNESS ROOM, COMMUNITY BIKE RACK IN SECURE UNDERGROUND GARAGE, AND SEPARATE FREIGHT ELEVATOR. 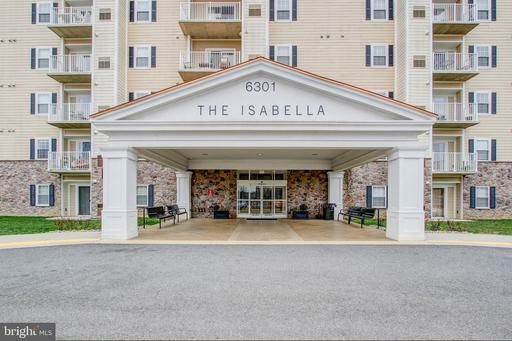 PLEASE NOTE THAT THIS CONDO COMES WITH TWO UNDERGROUND PARKING~ A COMMUTERS DREAM, THE ISABELLA IS ALSO CLOSE TO SHOPPING, MOVIE THEATRES, AND A LARGE ARRAY OF DINING CHOICES. WELCOME TO YOUR NEW HOME!!! 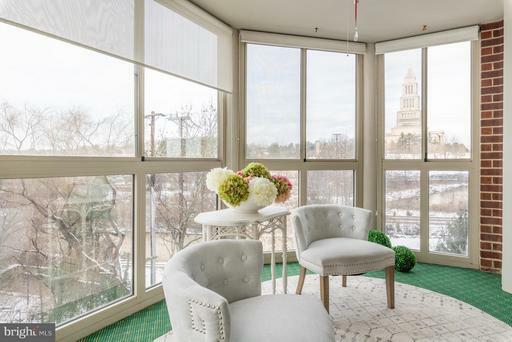 Penthouse-level luxury condo at Abingdon Row ~ located at the booming north end of Old Town - the heart of Alexandrias new arts district! Light-filled with fresh paint throughout, 9-foot ceilings, moulding and replaced hardwood flooring in hall, kitchen, living and dining rooms. Gourmet kitchen with granite countertops, glass tile backsplash and stainless-steel appliances. Center isle for prep work and plenty of room for entertaining and meals. Built-in bookcases and wood blinds in living room. Bedroom features Berber carpet and two closets. Bath features high cabinetry with granite countertop and 12-inch tile. Garage space # G226. 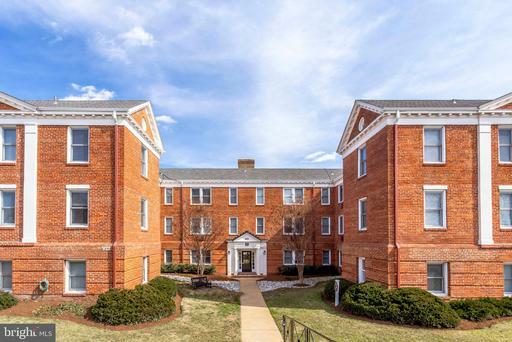 Step out your door and enjoy the Mount Vernon bike/walking trail, Old Town waterfront, restaurants a new steak house!, shops West Elm!, tennis courts, dog parks and loads of open space. Minutes to George Washington Parkway, Reagan National Airport, Pentagon, Washington, 495/95 and all that Old Town has to offer! For commuters, this prime location is one light to DC; the popular 11Y bus stops two blocks from the front door. Braddock Road metro is around 10 blocks away or hop on the local bus stops near the front door. Contracts, if any, to be delivered by 4:00 on Tuesday. Seller prefers a 30-day contingency in order to find a new home as well as possible rent back. FINAL UNIT! Dont Miss Out! 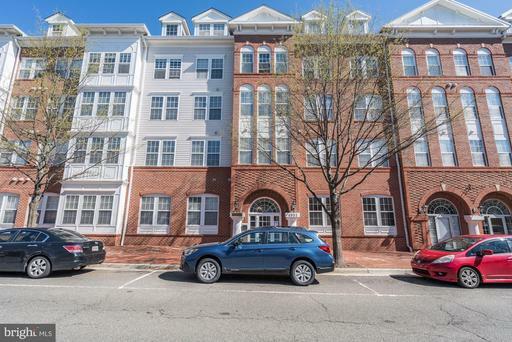 New 2nd Floor Condo in the heart of Del Ray. Unit Ready for Move In! Features the highest in energy efficiency plus new smart home technology. Gourmet Kitchen includes Quartz Counters, Full Height Back Splash and Stainless Steel Appliances. Unit with Balcony! Underground Parking Space. Walking distance to shops, dining and more! 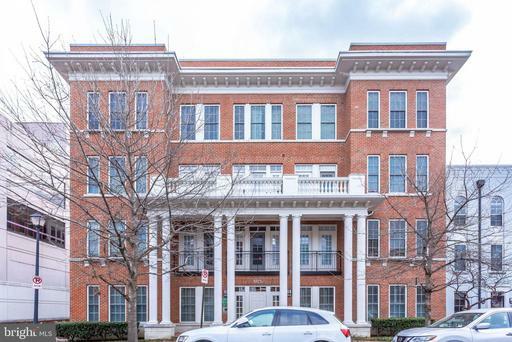 Spectacular 1BR/1BA Old Town condo w/spacious living dining areas, gourmet kitchen w/granite stainless steel, large bedroom w/sizable walk-in closet, gleaming hardwood floors, garage parking extra storage space. Condo fee includes cable, internet, fitness center, concierge, rooftop deck more. 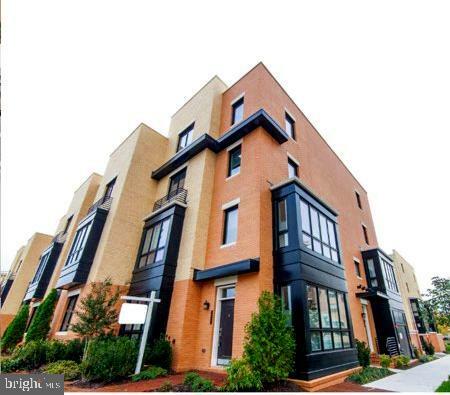 Steps from the Braddock metro and King Streets many shops restaurants. $500 credit to settle with KVS Title. FINAL UNIT! Dont Miss Out! 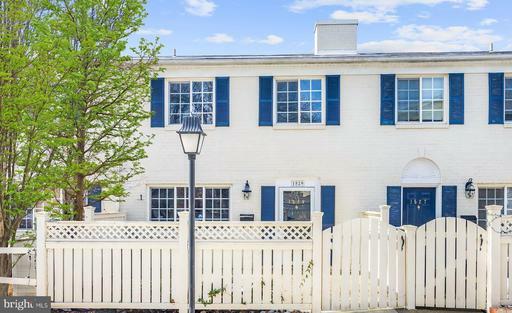 New 1st Floor Condo in the heart of Del Ray. Unit Ready for Move In! Features the highest in energy efficiency plus new smart home technology. Gourmet Kitchen includes Quartz Counters, Full Height Back Splash and Stainless Steel Appliances. Unit with Balcony! Underground Parking Space. Walking distance to shops, dining and more! Only 3 Units Remain! Dont Miss Out! 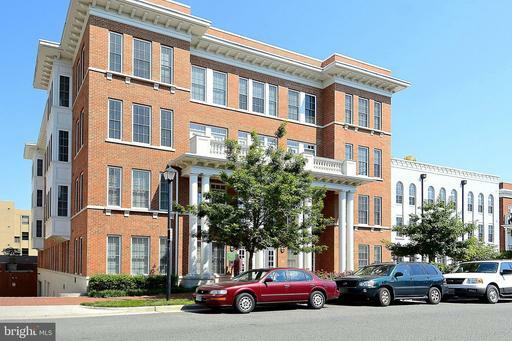 New 1st Floor Condo in the heart of Del Ray. Unit Ready for Move In! Features the highest in energy efficiency plus new smart home technology. Gourmet Kitchen includes Quartz Counters, Full Height Back Splash and Stainless Steel Appliances. Unit with Balcony! Underground Parking Space. Walking distance to shops, dining and more! OPEN SUNDAY 2-4. This stunning modern, high-ceilinged~condo, has open floor plan~with~hardwood flooring throughout.~ The sun filled kitchen has granite countertops and stainless steel appliances.~~A garage space comes with the unit as does a private storage space.~ All located in a secure building with a~staffed desk pool/gym membership available for a small additional fee. Great location near Metro, shops, PTO, Whole Foods, restaurants, Old Town stores and sights. 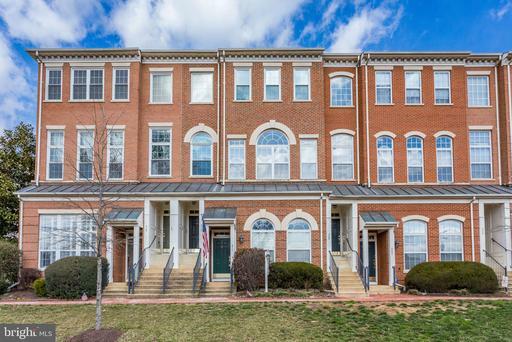 Beautiful updated condo in Alexandria offers convenience and class. 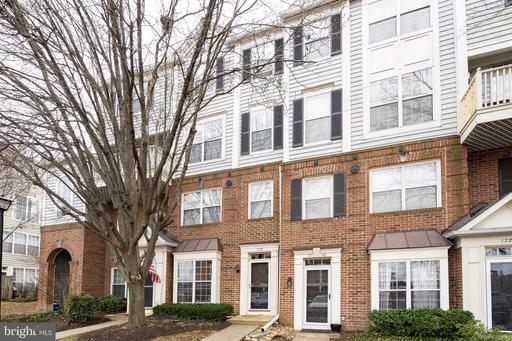 Located within minutes to the Van Dorn Metro with shuttle service and direct access to the Beltway. This home offers 9 foot vaulted ceilings, hardwood wide-plank flooring throughout, crown molding in living and dining room and kitchen. Granite countertops in the kitchen and stainless steel appliances are just a few of the special touches in this home. Walk in closets and insulated double hung windows with blinds. In home washer and dryer included. Two parking spaces and additional storage included with sale. There is an on-site building manager as well as a secure access to the building. The building also offers a lap pool and fitness center for the residents. A clubhouse is available for use as well. Live the resort life in this beautifully updated 2 bedroom/2 bath condo. Its heat pump air handler is only 6 years old with average electricity bills of $35 per month. The contemporary master bath was renovated in 2015 including a glass-enclosed shower, new toilet, new tile floor with new vanity lights faucet. The cheerful kitchen will impress you with its quartz countertops, new sink, recently replaced counter stove top, new disposal, dishwasher and refrigerator with icemaker. The tile floor in the kitchen as well as the foyer floor have been updated also. The kitchen faucet was replaced as well as the kitchen light fixture. And, the washer/dryer is only 2 years old. The bright dining room is further enhanced by a brushed nickel chandelier just installed in March 2019. The entire unit was professionally painted in November 2018. There is a lighted ceiling fan on the glass-enclosed balcony which with its white draperies offers another room in which to relax. From the 10th floor, the view is incredible from all the windows and all window treatments convey. The owner uses the guest bedroom as an office since it has double doors from the living room as well as a single door to the second full bath across the hall. Also, please note the depth of all the closets in this condo; check out the one in the foyer which is great for storage as well as coats. Of course, the price includes an interior garage space which is close to the door to the elevator on the B2 level with the storage space just steps away. Montebello, although only 2 lights away from Old Town and the Beltway, is a gated community with 24 hour security. It not only has a huge interior pool and hot tub but also a free bowling alley, a convenience store, a bar full-service caf~ plus a party room kitchen in the building if you want to have a large social gathering. There is a large outdoor pool with a full time lifeguard. There are 2 tennis courts as well as a barbeque picnic area. A million dollar gym with treed views offers state-of-the-art equipment. You can enjoy a wide variety of activities, events and clubs as well. Montebello, resort living at its finest!! 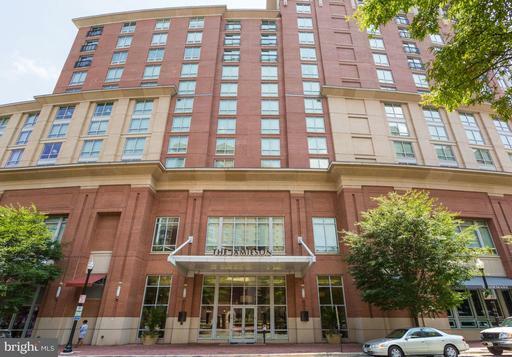 Gorgeous 1 Bedroom luxury condo above the Westin Hotel is blocks to the King Street metro. 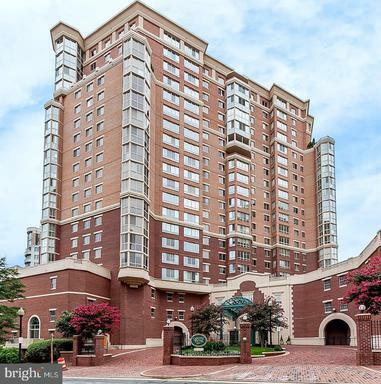 This is a perfect pied-a-terre for anyone looking for a convenient, upscale, low maintenance home in Alexandria. This home has top notch finishes such as a gourmet open kitchen featuring granite counters, wood cabinets, stainless steel appliances, GAS cooking and wood floors. Enjoy an open floorplan with a sliding glass door in the living room for lots of light and fresh air. BRAND NEW water heater! 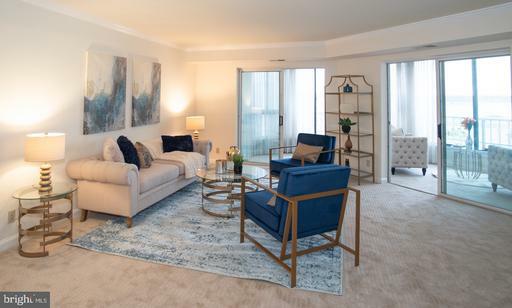 The sunny and bright condo features a tall ceilings, wood floors in the living space, custom California Closets to maximize storage and much more! 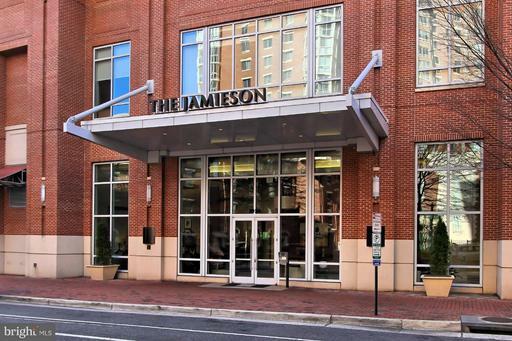 The Jamieson amenities include, ROOM SERVICE, a rooftop terrace, concierge, access to The Westin gym small fee and discounted maid service. 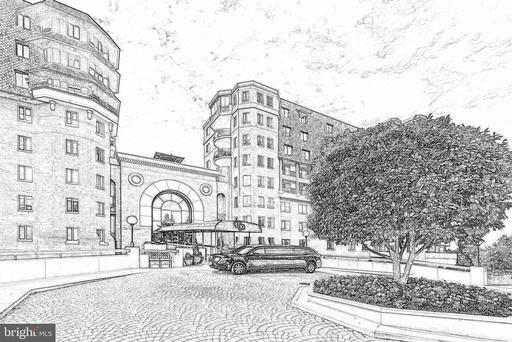 Conveniently located blocks to King St Metro Blue/Yellow lines, Old Town Waterfront, United States Patent Trademark Office USPTO, Federal Courthouse, Whole Foods, CVS, Starbucks, fine dining, shopping more. This community has earned a 84 Walk Score. Walk over to the King Street metro and hop on the free trolley to the Old Town waterfront and more. 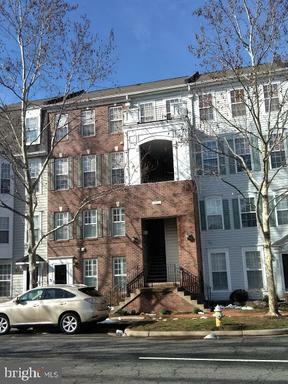 For commuters, this condo is located near 495,395, Rt 1, Rt 7 GW Parkway.